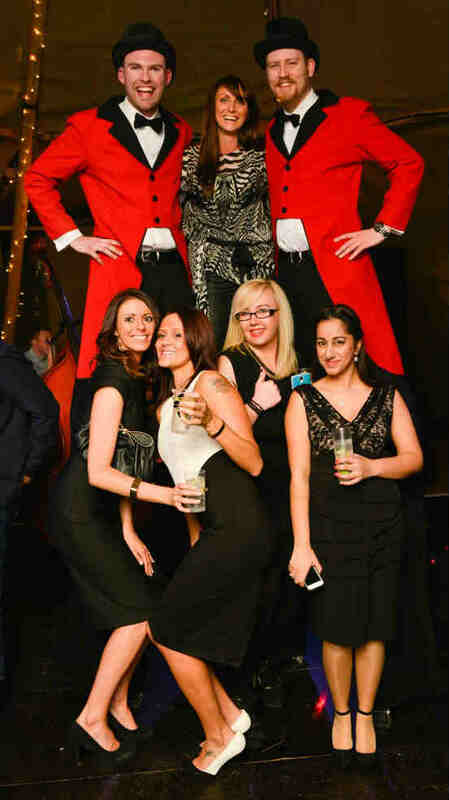 Stella Humphreys, who works for HSBC, was recommended our service: “I was organising the HSBC Snowflake Charity Ball at Barton Grange Hotel and they put me in touch with Xtreme Entertainment who they use for their events” said Stella. “After the raffle and auction things can slow down, but at this event the stilt walkers arrived on the dance floor when the music started and the guests’ reactions were brilliant.” As well as getting everyone dancing and picking people up for photos, the stilt walkers handed out glow sticks for guests to make bracelets and necklaces from. 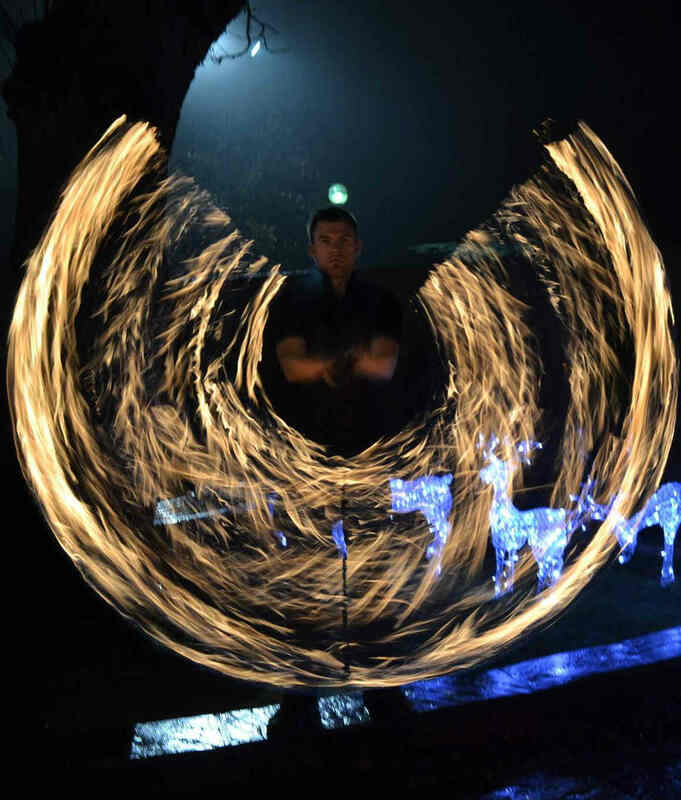 “The glow sticks were such a good idea and went down really well with the crowd,” said Stella. Like many excited couples, when Phillip and Linda Linthwaite were in the midst of planning their wedding they enjoyed going to wedding fairs, seeking out ideas that were ‘a bit different from the norm’. 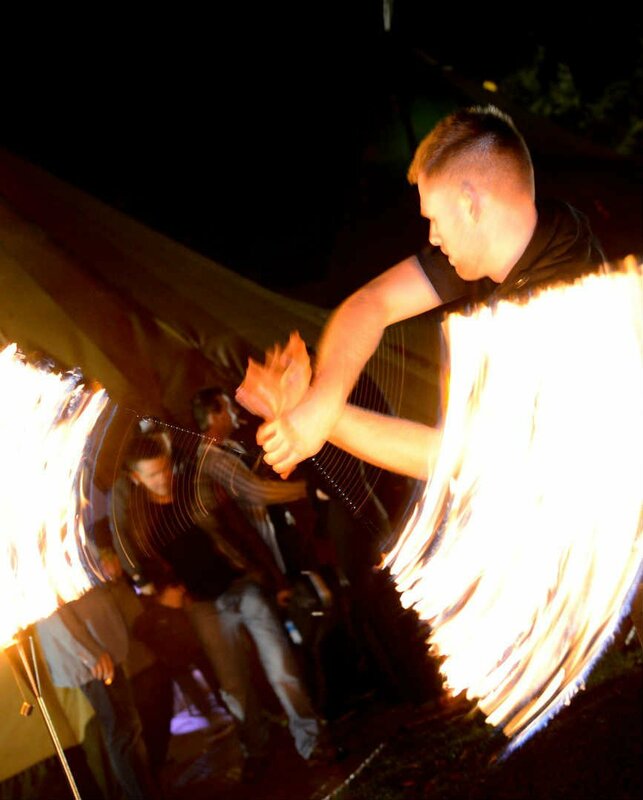 “At one fair we were greeted by the Xtreme Entertainment stilt walkers who were getting a huge amount of attention – we had to get a leaflet and find out more.” said Linda. 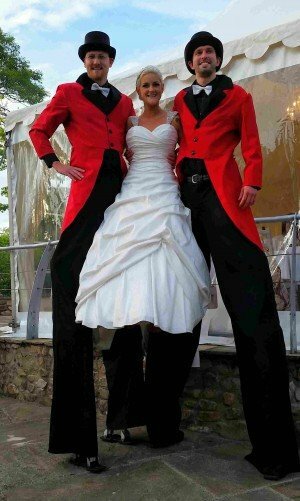 As the couple had chosen an Alice in Wonderland theme, the stilt walkers arrived in red tails with black top hats which fitted in perfectly with the day. 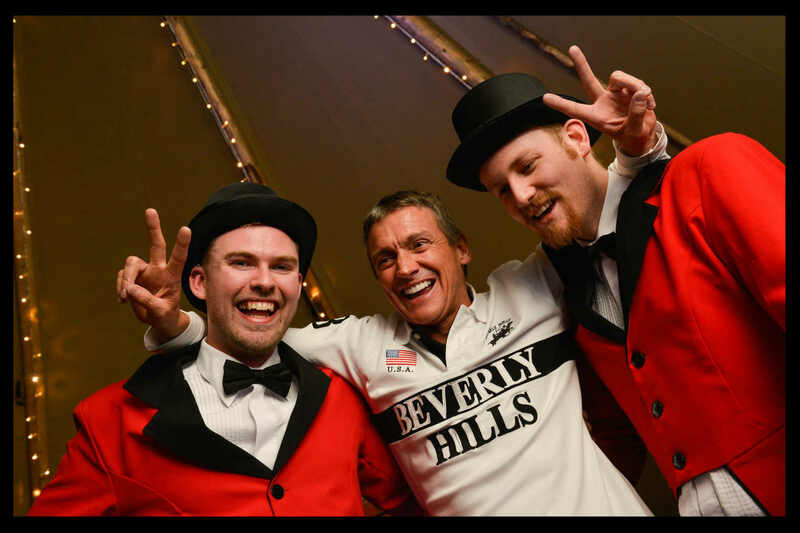 “They were so welcoming to everyone and put such a smile on our guests’ faces. 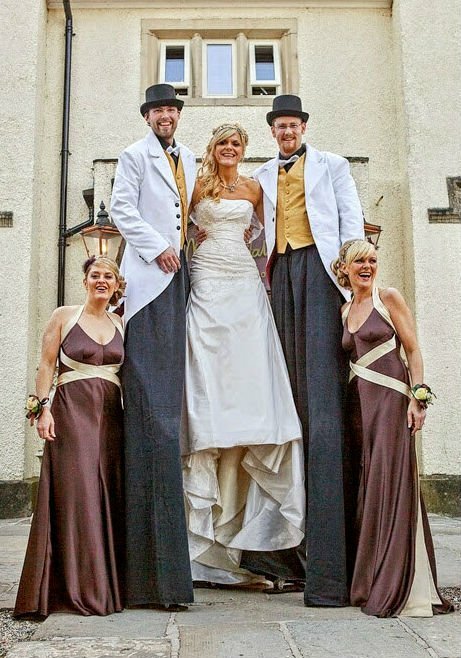 We have three children who are 6, 8 and 13 and they were so excited when the stilt walkers arrived, in fact everyone was, age was irrelevant!” laughed Linda. Tania Stephenson at the Barton Grange Hotel in Preston first heard about Xtreme Entertainment when she began her job as Event Manager five years ago. 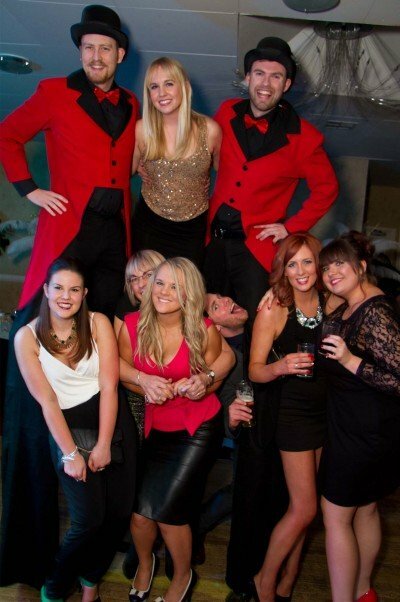 “When I joined Barton Grange they were already using Xtreme for our balls, Christmas party nights and other events. Once I’d booked them myself I could see why – guests absolutely love them and they’re such a pleasure to work with”, said Tania.